For your perusal and information, here is a comparison which takes into account specs for Apple’s 2018 iPad 6 vs 2017 iPad 5 vs 10.5-inch iPad Pro. For those who may be wondering about Apple’s modern iPad range, or debating which iPad model is right, this is the perfect set of information. Anyone with a keen interest in tablet computing, and more specifically, in Apple’s iPad range, will have taken note of today’s education-based event in Chicago, Illinois where a new 9.7-inch iPad was announced. 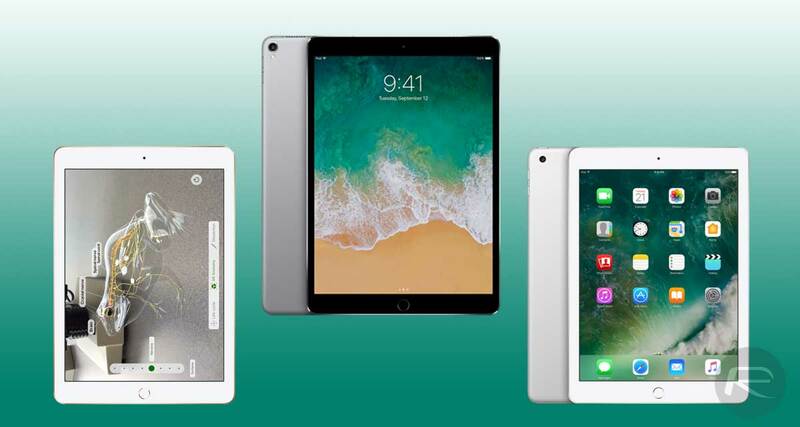 Dubbed “iPad 6”, or the “2018 iPad” if you prefer, Apple has introduced a brand new piece of kit which it hopes will invigorate sales and convince students, pupils, and teachers alike that the future of classroom computing is with an affordable but highly performant tablet. But if you’re looking for a new device, and are faced with a choice of three, which one will you go for? The first thing to consider here is the screen size of the iPad. This latest introduction comes with a stunning 9.7-inch Retina display, as does Apple’s 2017 model, which was introduced in March of 2017. However, Apple’s iPad Pro steps up the game slightly with a glorious 10.5-inch display complete with ProMotion technology and a True Tone experience. Not to forget that the Pro version also has P3 color support, and the screen is laminated, unlike the Pro versions. You may be expected to pay a little more for the Pro model but there is no denying that the visual experience is going to be a lot better with this more performant panel. With that said, as we all know, size isn’t all that matters as the 9.7-inch iPads are now mainly for school and students. From a processor perspective, last year’s iPad 5 shipped with an Apple A9 chip with an embedded M9 coprocessor. At the time, that new silicon offered significant CPU and graphics advantages over the earlier A8 chip. 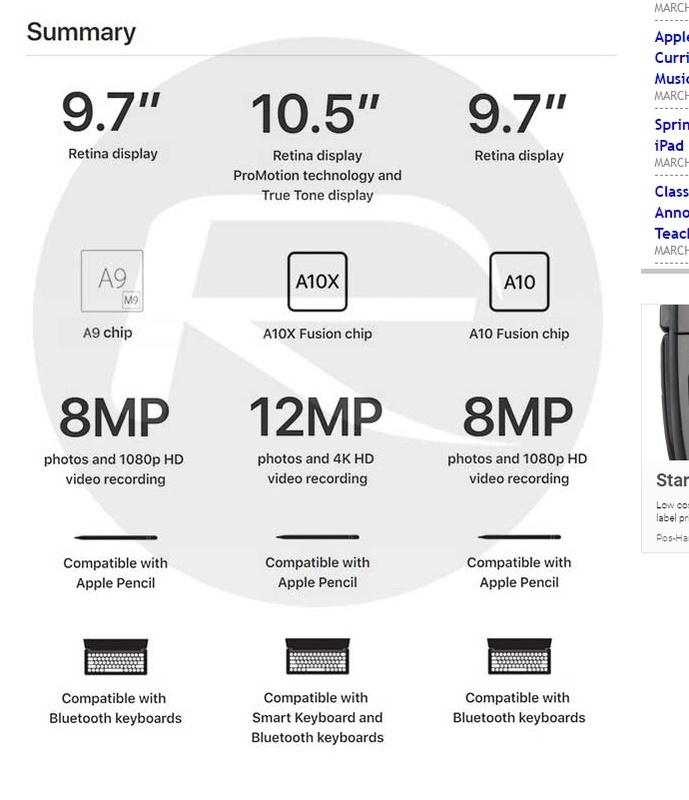 This year’s new iPad comes with an internal A10 Fusion Chip whereas the 10.5-inch iPad Pro once again steps up to the next level with an internal A10X Fusion Chip. Once again, on paper, Apple’s iPad Pro seems to take the mantle as far as specs and performance are concerned. Both iPad Pro and the 2018 iPad are compatible with the wonderful Apple Pencil, which is perfect for Apple’s updated iWork suite of apps, whereas last year’s 9.7-inch model offered no compatibility whatsoever with the premium accessory. All-in-all, the decision will really come down to how much money you want to spend and what you are planning on using the iPad for and in what situation. If you need a performant tablet with Apple Pencil support but aren’t particularly concerned about the additional screen capabilities or real estate, or things like Smart Connector, 4K video, OIS, second-gen Touch ID (compared to first-gen on 9.7-inch models) on Pro models, then Apple’s latest iPad is a great. Especially if you are getting it for education as Apple is offering it for just $299 for those involved in education section, be it students, teachers or even parents. Check out the full comparison chart below to see which direction it takes you in. Your chart incorrectly states that the 2017 iPad is compatible with the Apple Pencil. it shows “-” which means it doesn’t support it. is the new ipad immune to meltdown?